I was fortunate enough to get the chance to review these really unique Pillowscapes pillows. I love the premise behind them, not everybody is the same so surely not everyone needs a rectangular pillow right? Well, I was skeptical at first, having enjoyed regular shaped pillows for many years but I wanted to give them a try. I thought I’d explain that before we all got thoroughly confused! First things first, how do they feel. Well they have a really nice firm feel but they’re still lovely and squishy and the covers are crisp but soft. 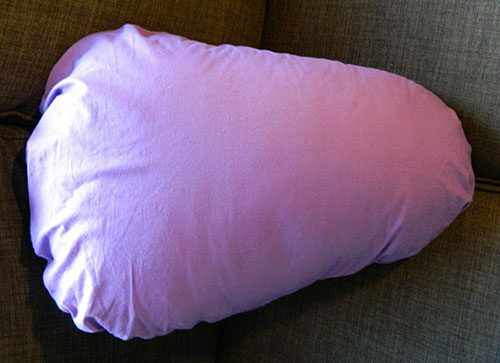 The strangest sensation is in the bow pillow where you can feel the join between the three parts. At first, I thought it felt similar to an air bed but I eased into it and it’s my new favourite. 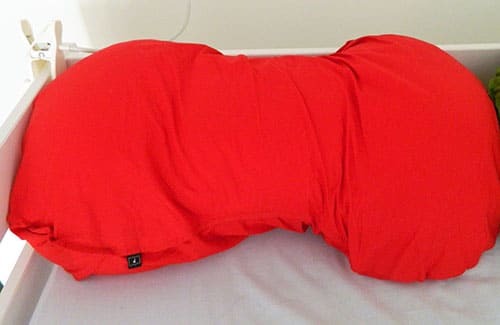 I’m a side sleeper mainly but I tend to roll around a lot and back and forth between my back and side and everywhere I turn the bow pillow seems to just have my back and keeps my head up and supported. A fair question to ask as it’s not entirely obvious right at the start! 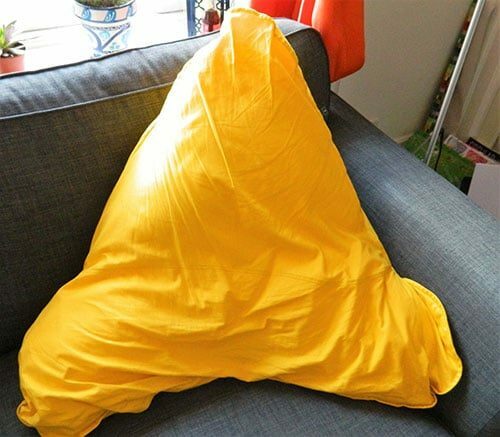 Everyone ones going to get something different out of them but I personally like to have the peak pillow on the sofa as it’s perfect to snuggle into. Meanwhile I like the bow pillow on the bed for sleeping through the night but on those lazy mornings when my wife’s already up I love and giving it a big hug, arm underneath. Bliss. 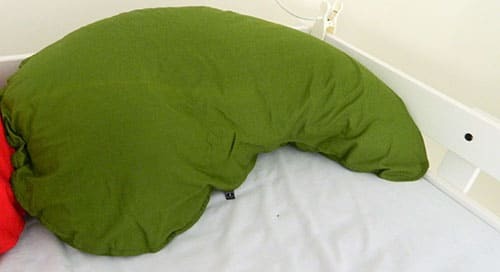 The bean pillows a little different, I move around a lot so it’s a little slim for me as I tend to just roll off the side. But it’s the most firm and the highest so I really wish I had it when I sprained my ankle and had to lie in bed with my foot elevated. It would have been perfect! While I love the vibrant colours my wife I have tried to have a colour scheme to our house and so they don’t immediately fit in. They also come in grey which would be a bit more colour scheme friendly but that said I still really enjoy the bright colours. Infact I really wish I’d had them in my university halls, it definitely would have brightened my room up! A great gift if you have any relatives in university halls. 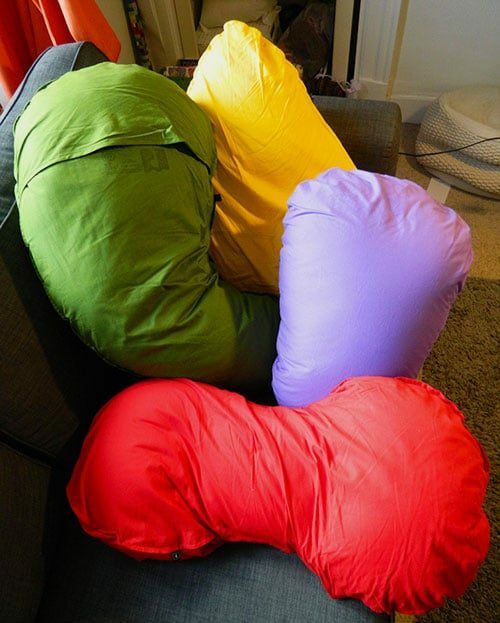 The bean body pillow will be ideal for certain types of snorers. Some snoring is caused by issues in your throat but a lot of it can be stopped simply by sleeping on your side. Generally while your sleeping you can’t decide how you lie, but if you have a nice body pillow you can hug you naturally stay on your side through the night and get a peaceful night sleep which I’m sure your partner will thank you for. I wasn’t sure how they would hold their colour after a go in the washing machine but I was really pleased. They came out the exact same colour as they went in! I’m not sure what else you can ask for apart from that when it comes to washing them. I did wash them individually. I didn’t want to turn all my clothes pink! But for how often the covers will need washed it’s not a problem. I’m really glad I got to try these out. The Pillowscapes pillows are a bright, fun, and interesting addition to the bedroom. I love how comfortable they are and how versatile they are. I’m still sure I’m going to find more uses for them yet and when I do I’ll be sure to come back and update this article! You can buy your own from the Pillowscapes website just click here.